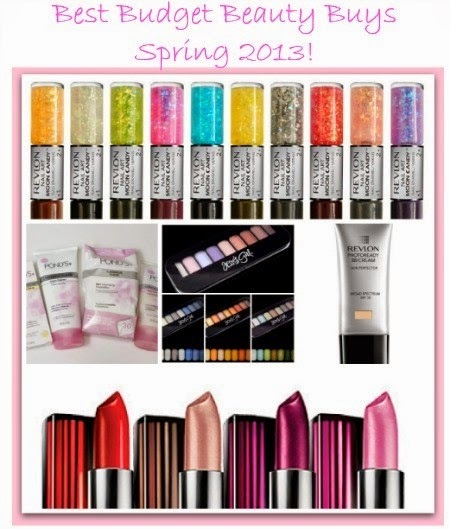 We here at The Makeup Examiner know that each season brings an amazing array of fun beauty products. We also know that sometimes the collections are out of reach for our readers. Everyone needs to stick to their budget … even with beauty products. However, staying within your beauty budget does not mean that you have to sacrifice staying on-trend or sacrifice quality. 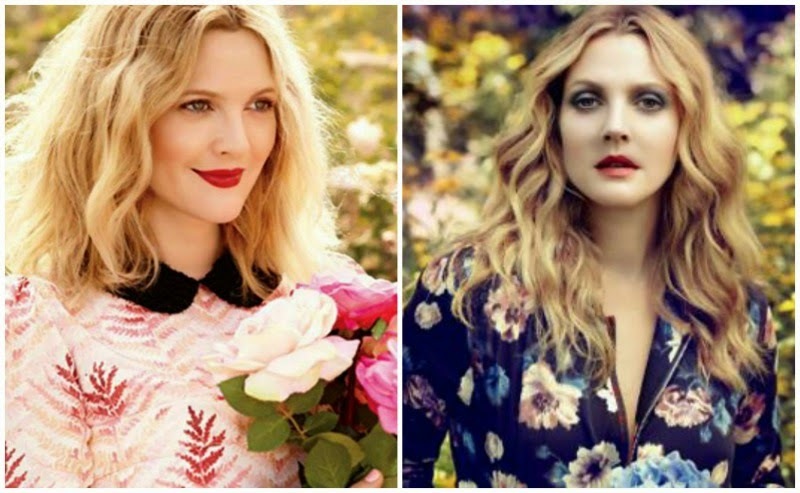 Check out the above picture of Drew Barrymore. 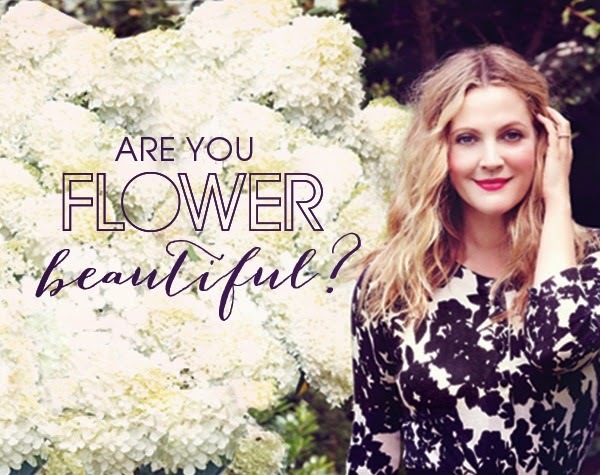 Drew looks stunning and the picture proves the versatility of our favorite budget beauty line … Flower Beauty! Team TME has tried just about every product from the Flower Beauty line and this budget-friendly brand never ceases to amaze us with its high quality. Who’d have thought that a cosmetic line carried at Walmart would have a single product that we’d fall in love with? Certainly not us! TME has covered Flower Beauty since 2013 and we are happy to share that quality and style hasn’t wavered! 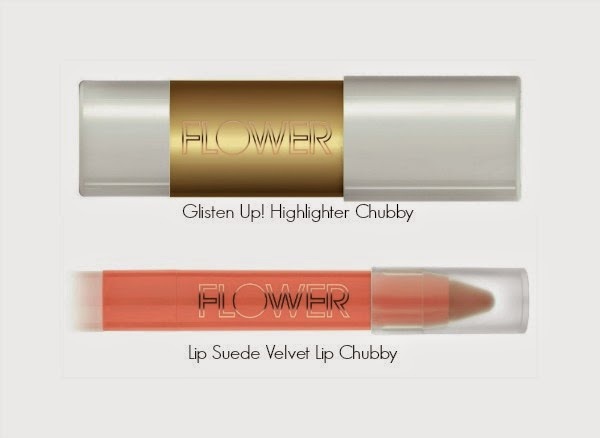 So, without further ado here are the gorgeous new products from Flower Beauty for Spring/Summer 2015! Take A Brow Complete Brow Kit ($9.98) - A complete kit to beautifully tame, structure and cleanly define eyebrows. Featuring a clear brow taming wax to combat unruly or bushy brows and 3 universal brow powder colors to fill in sparse areas from thinning or over-plucking. Gold Top Coat ($4.98) - Molten metals add shine and shimmer to your mani! Applying the new Gold Top Coat over your favorite FLOWER nail color allows you to create gradient ombre nails, or use alone and apply multiple coats for extra impact. D.B. Daily Brightening Undereye Cover Crème ($8.98) - Specifically targeted for undereye brightening, our high-coverage D.B. Daily Brightening Undereye Cover Crème conceals dark spots and fine lines, while the cooling rollerball helps to soothe and gently de-puff. Great for everyday use or when your eyes just need a little brightening boost. Available in four shades, DB1 through 4. Hollywood Secret Concealer Kit ($12.98) - Conceal, Correct, Brighten & Lighten! Perfect for under eyes and concealing skin imperfections. Included is an undereye-brightening base; apply before concealer to lighten dark under eye circles and provide a light base for concealer. Kiss Stick High Shine Lip Color ($6.98) – Brand New Shade: Cactus Flower! 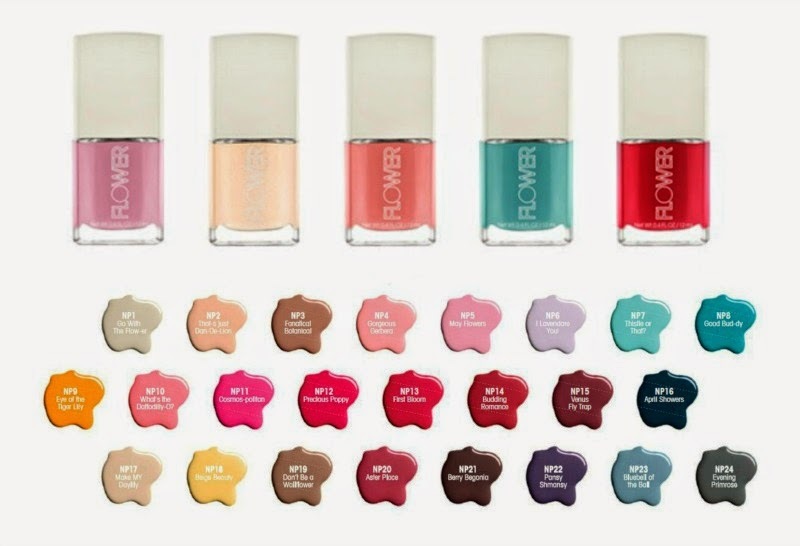 There you have … the newest lineup from Flower Beauty Spring/Summer 2015! The new collection is currently available at Walmart and Flower Beauty is a cruelty-free brand that is made in the USA. Team TME was super excited with Pantone’s Color of the Year announcement. Marsala is such a beautiful hue, but as fearless as we are there are times when even Team TME wonders about committing to products in a particular shade. Truth be told, we here at TME can be downright commitment phobic. This is especially true when it comes to investing our money on a maybe. So, what’s the answer when one wants to try a rockin’ new color but one doesn’t want to make a huge investment? Well if you’re not sure if you’re ready to devour Marsala head on, no worries because we’ve found a brand that offers major options for less then $5 per product! essence cosmetics offers a variety of beauty options to ease your way into the new hue … without breaking the bank. 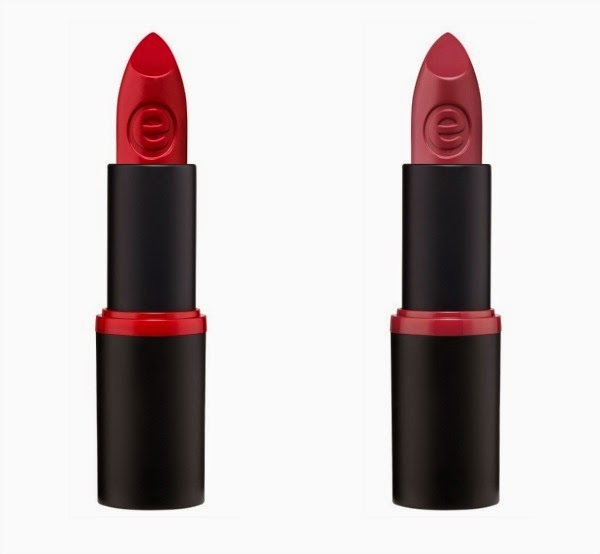 Knockout Pout: essence long-lasting lipstick adds a pop of color. Warm tones? Try dare to wear. Cooler tones can opt for on the catwalk ($1.49). Want an even bolder look? 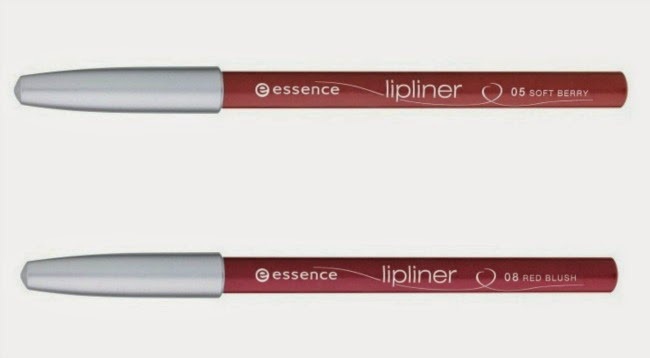 Line and fill-in lips with the essence lip pencil in red blush or soft berry ($1.49). Lined to Perfection: For a softer take on the smoky eye, swap your black liner for a Marsala-esque shade. essence long-lasting eye pencil in berry merry is the perfect hue to integrate Marsala into your look ($2.49). Hint of Color: If you’re still not convinced, try a hint of color with the essence XXXL shine lipgloss in true love ($2.49). essence cosmetics are available at Ulta. 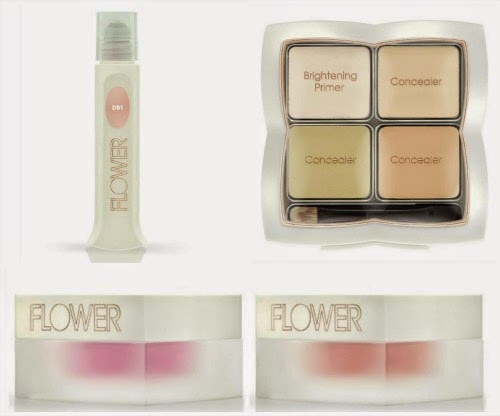 In November 2013, TME wrote a preview of Flower Beauty’s offerings for 2014, so please check that out -- “Flower Beauty 2014 Product Preview Exclusive” -- for full view of what Flower has out right now. Let’s move onto a few spring/summer must-haves! 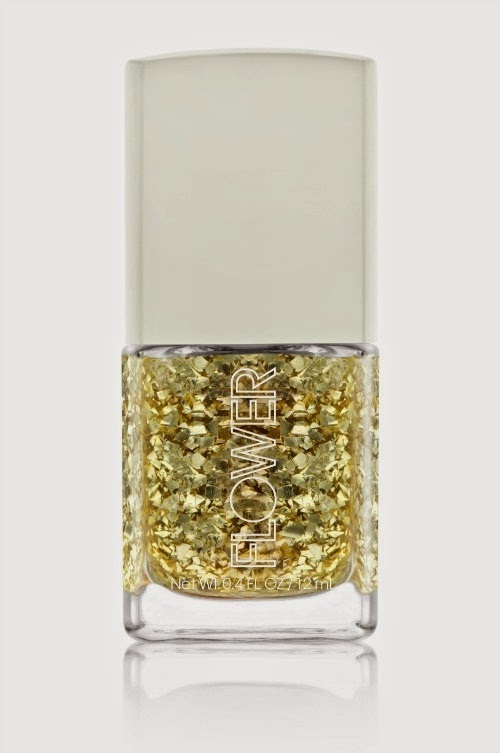 Recently, TME was sent more products to check out, one of them being Flower Nail It! Nail Lacquer ($4.98). Flower nail lacquers are free of DBP, toluene and camphor; are available in 24 on-trend shades, are cruelty-free, made in the USA and … actually work! The formula allows for a quick two-coat application that is both chip resistant and long lasting. TME was sent Aster Place NP20, which is the perfect matte rose and on-trend for every season! But if you’re looking for a few shades to sizzle this summer, try Cosmos-Politan NP11 or Thistle or That? NP7. 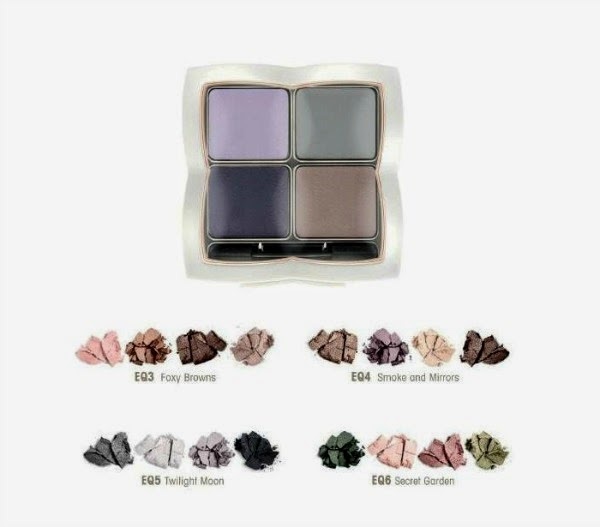 Next up, Flower Beauty Shadow Play Eyeshadow Quads ($9.98). The Eyeshadow Quads are available in four palettes, contain Ginko Biloba extract to help keep lids supple and the color delivery is insane. The highly pigmented shadows offer the versatility of going for an intense eye or an ethereal subtle look, the later of which is very hot for S/S 2014. Moving on to the last, but far from least, two products to grab for the warmer months … Glisten Up! Highlighter Chubby ($9.98), available in three hues, features a sheer, illuminating highlighter with a long-lasting glow that can be used over makeup or alone for a natural glow. TME is addicted to this highlighter! Goodbye Benefit Cosmetics' Watt's Up ($30)! Rounding out the mix is Lip Suede Velvet Lip Chubby ($7.98), available in five shades, but “Life’s A Peach VC1” is a must-have for this season. I have to mention … again … that Flower Line & Shine Lip Liner ($6.98 - 5 Shades) is still a TME favorite. Aside from the ease of application, the liner glides on and offers all-day wear via a water-resistant formula. I was fortunate to have been sent all five shades and normally I share what hits my desk, but that’s not gonna happen with MY Line & Shine Lip Liner! Readers know that it’s not often that TME goes full-tilt for a product, but the liner is seriously that good! All the issues that are important for me to support and all the things that I want to stay away from are so beautifully incorporated into Flower Beauty. And, again, TME is compelled to emphasize the price point. With products that are very affordable and offer an array of on-trend hues, one has the opportunity to play. Can we ask for anything more? You can find Flower Beauty at Walmart. We all want to look a little more glamorous, chic, and sophisticated for the holidays. But it isn’t always easy to figure out how to turn our everyday look into holiday glam. The Makeup Examiner will share her own little makeup struggle. TME’s mother was a model and TME believes that, that woman could effortlessly apply falsies in her sleep! Her magic ability to apply false eyelashes, no matter the place and in three seconds flat, did not circulate to The Makeup Examiner’s DNA. TME is a determined woman and eventually mastered falsie application. TME shares this with readers so that they too may be a little more fearless and a little more adventurous. After all, if ever there was a time to try a few bolder moves with our makeup the holiday season is it. So … let the festivities begin! 1. Skin Is In - Any look begins with great skin. And if you haven’t adopted a good skin care regime, you can adopt “fake it ‘til you make it” with a few tricks to get flawless looking skin. The Makeup Examiner’s “Tips For A Fresh and Flawless Face” gives you all the quick and easy tricks to start your glam look with a beautiful canvas. 2. The Eyes Have It - This is where you can have some real fun and try a new, bolder look. 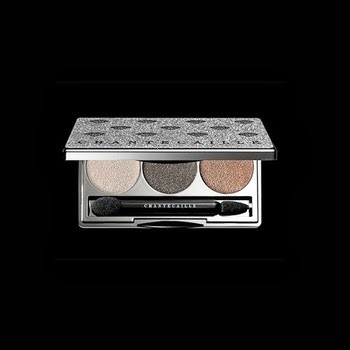 Chantecaille offers a gorgeous palette for Holiday 2013 and simple to follow Beauty Guide for a stunning holiday eye look. Punch up the look with the application of EcoTools Lashes that offer five variations from “Barley There” to “Soft & Dramatic,” plus the easiest how-to guide on the planet! 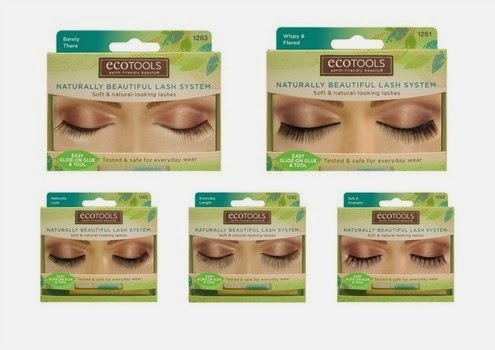 Both Chantecaille and EcoTools are cruelty-free, and at $5.99 a pair, EcoTools reusable lashes are a major bargain! 3. Lip Service - The Makeup Examiner tends to stick with an “either or,” as in either go for a bold eye or a bold lip. So if you’re opting for real glammed up eye-popping colors, stick with an understated lip hue. By the same, you can choose to go for a subtle statement with your eyes (yes, you can still glam-up with falsies) and paint your pout with a punched up shade in a stronger hue of red, berry or even pink. 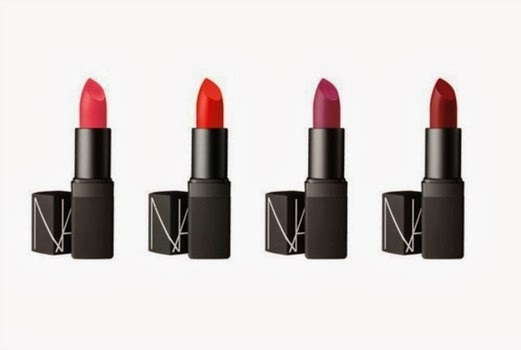 One thing to note is that during the colder months our lips can get dry so chose a moisturizing formula like NARS Cinematic Lipstick. 4. Nail It - No look is truly complete sans nail lacquer. 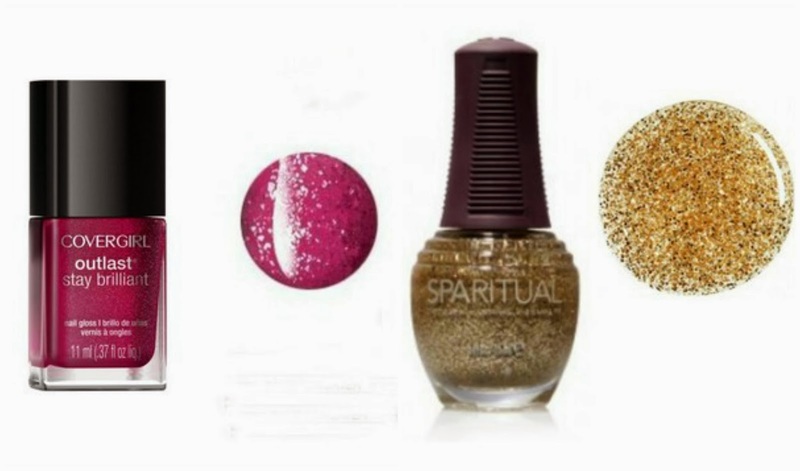 For the holidays, add a little sparkle to finish your look with a shimmery shade or add a coat of sparkly lacquer, like SpaRitual Golden Rule, over your favorite polish or alone. The Makeup Examiner just acquired CoverGirl Outlast Stay Brilliant Nail Gloss in Bombshell #313, from the brand’s new Bombshell Collection and TME is calling this shade “THE” holiday hue for this season! 5. Finishing Touch - Oh, you thought that you were all done once you polished those talons? 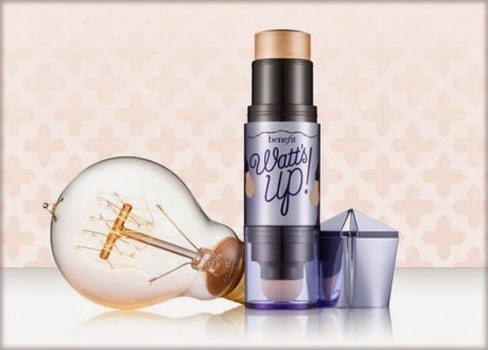 TME’s latest makeup obsession is Benefit watt's up! highlighter. This product is magic in a tube and can be applied anywhere you want to give a little light, lift or accentuation … like your décolletage. 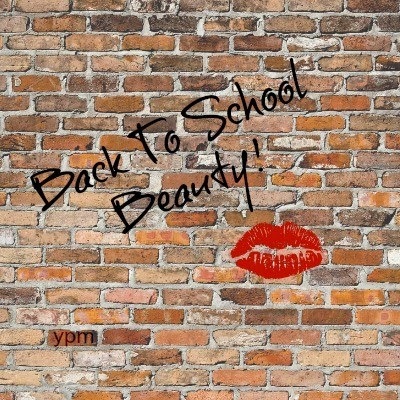 Whether you’re headed back-to-school as a “seasoned” beautynista or are a B-I-T (Beautynista In Training), finding budget beauty products that actually work can be a real challenge. Furthermore, if you are a B-I-T, you may not have the knowledge that you need so as to not waste your money. Spending $3.99 on a product that doesn’t work is $3.99 that you’ve just wasted and that could have been put towards something that you really wanted. Over the past year, The Makeup Examiner has been fortunate to review several brands that are super budget-friendly and actually do what they’re supposed to do. The first rule of makeup for B-I-T’s … less is more. If this is your first back-to-school year with makeup, you want to show everyone that you’ve matured, not that you went crazy with your mommy’s makeup kit. Let’s start at the very beginning, which is your skin. Before you put a single pigment anywhere on your face, you have to learn how to take care of your skin. Bonus: learning how to take care of your skin now will payoff for a lifetime and for seasoned beautynistas … if you don’t have a skin care regime it’s time to start one! A great skin care regime is, well, a great thing. But The Makeup Examiner is acutely aware that not everyone is going to go through the entire process. For those of you that just can’t, or even for those that do but are occasionally lazy, Bioré Make-Up Removing Towelettes (30-count $7.99) effectively removes makeup and is oil-free. If you’re seeking a budget friendly, yet effective, skin care line, check out the Pond’s Luminous Clean. Luminous Clean Cream Cleanser ($7.50), Luminous Clean Daily Exfoliating Cleanser ($7.50), and Luminous Moisture Day Lotion with SPF 15 ($6.70). Back to Bioré, if you’re seeking acne prevention or treatment products The Makeup Examiner recommends Bioré Pore Unclogging Scrub ($5.47) or Bioré Acne Clearing Scrub ($5.47). Now that we’ve gotten through some skin care advice, let’s move onto the fun stuff! To conceal or not to conceal … that is the question. For B-I-T’s, don't believe sales clerks who tell you that you absolutely must wear foundation. If you have gorgeous skin and chances are that you do, why cover it up? Opt for a light BB cream and this goes for seasoned beautynistas too. Although The Makeup Examiner is head-over-heels about Pond’s brand new Luminous Finish BB+ Cream ($9.99), the formula may be too much for B-I-T’s. An amazing budget friendly BB cream is Revlon PhotoReady BB Cream Skin Perfector ($9.99), as it’s a lighter formula. If you want to add a little kiss of blush, or really go for contouring, CoverGirl Clean Glow Blush ($6.94) is the way to go. CG’s Clean Glow Blush is a 3-in-1 multi-shade compact that will let you customize your color. And you can use just one color or all three. 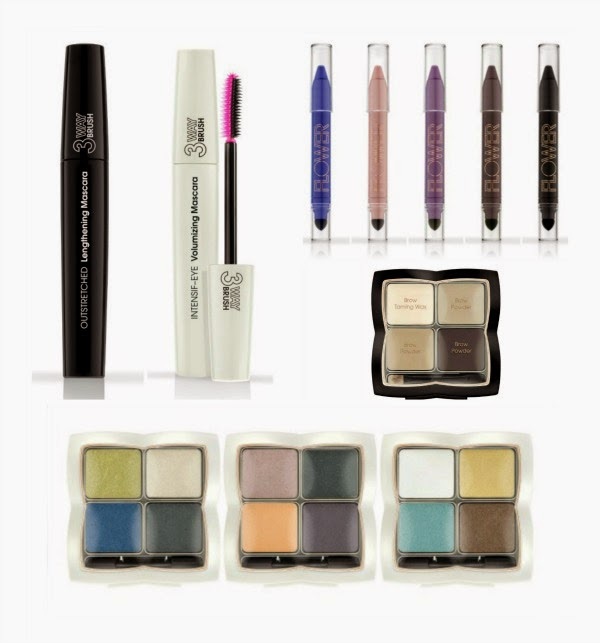 Moving onto the eyes, The Makeup Examiner discovered NYC New York Color Cosmetics and was blown away that this super budget friendly brand delivered products that are highly pigmented and work amazingly well. NYC New York Color introduced several products earlier this year starting with HD Color Trio Eyeshadow ($2.99) offered in 12 different color palettes giving endless options to play. Next on the NYC Color list is Big Bold Curl Mascara ($4.99), which has a hydrating keratin-rich formula and offers those big, bold lashes that are so hot this season. For B-I-T’s, The Makeup Examiner recommends investing in an eyelash curler, and possibly forgoing mascara. Last, but so far from least, is Big Bold Plumping Lip Gloss ($3.99), available in 12 luscious shades NYC’s lip gloss offers both a mega shine and lip plumping for the perfect pout. 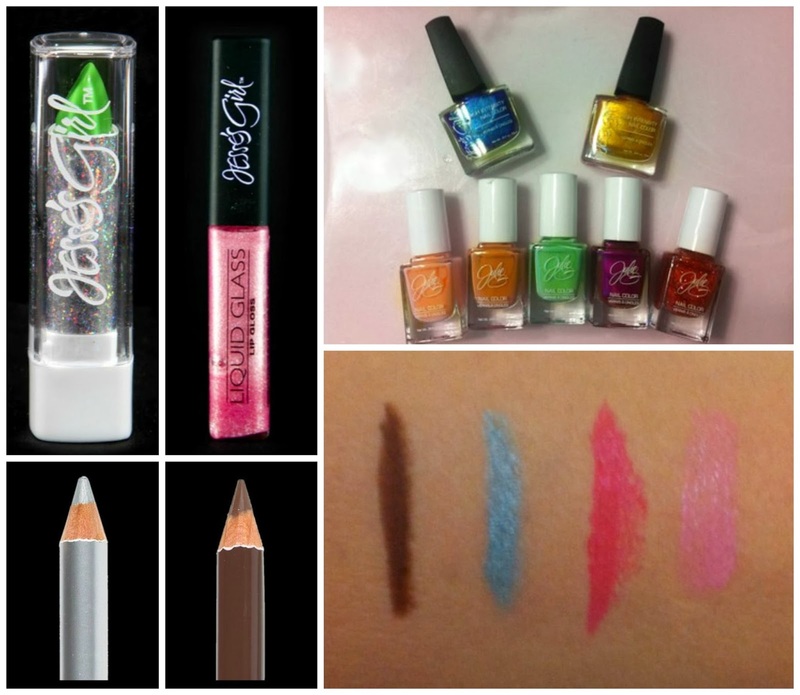 Wrapping up your back-to-school budget beauty bounty is Jesse’s Girl Cosmetics nail lacquers. The brand has twice collaborated with Julie G, first on the Julie G Nail Polish Collection ($3.99) and again on Jesse’s Girl Cosmetics Julie G Frosted Gum Drops line ($3.99). The Makeup Examiner as a quick little secret for grabbing more savings: Before you head to the store, check out a brand’s Facebook page, as they often post coupons. For example, Pond’s is currently offering an addition $2 coupon off of their BB cream. And hey, if you lovelies know of any great deals, share them in the comment section! Happy Monday lovelies and with this day comes another Manic Monday Makeup article just for you! Just when you think that Spring is on its way, a cold snap hits and makes you rethink that idea. But in fact, the first day of Spring will arrive on March 20 and soon enough, we’ll be enjoying warmer weather. Along with a change in weather comes a change in our makeup routine and this season, there are so many fun beauty trends to try! When experimenting with a trend one never knows if a particular look will work out. Fortunately, you don’t need to spend a fortune to try out the hottest trends for Spring 2013 because The Makeup Examiner has found quite a few beauty products that will update your makeup bag and refresh your skin care routine, without breaking the bank! 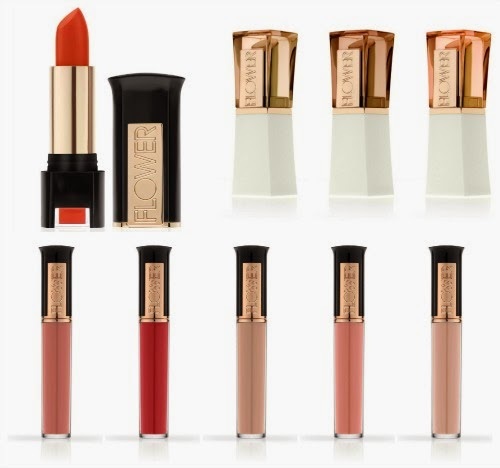 From foundation to BB cream and nail lacquer to lipstick, the products in the gallery are sure to give you inspiration to update your look and do some Spring cleaning with your makeup up routine. The best thing about budget-friendly beauty products is the freedom that they give you to try something new and if you hate the look, you aren't out major bucks. So have a look at the list and have fun! Jesse's Girl Cosmetics 9 Pan Eyeshadow: Jesse’s Girl Cosmetics is a fantastic line that offers an array of products to play with. But, the focus on this line is the abundance of eyeshadow colors in the line’s 9 Pan Eyeshadow Palette that’s available in four different selections; The Eyes Have It, Brown Eyed Girl, Behind Blue Eyes, and Tickled Pink. Each 9 Pan Eyeshadow Palette is $3.99 and at that price … you can afford to play! Maybelline Color Sensational Lipcolor: Lipstick can be a very expensive makeup mishap to your pocketbook. With 68 amazing shades to choose from, Maybelline Color Sensational Lipcolor offers more than enough shades for massive makeup experimentation. And with a $5.50 price tag, you can afford to let loose a little. Revlon PhotoReady BB Cream: Revlon PhotoReady BB Cream just made its debut in January 2013. Revlon PhotoReady BB Cream is available in three shades, has the perfect combination of a lightweight feel and great coverage, contains SPF 30, and for $9; this beauty balm is a bargain. Covergirl Outlast Stay Fabulous 3-in-1 Foundation: Also making its debut in January 2013 is Covergirl Outlast Stay Fabulous 3-in-1 Foundation. Outlast Stay Fabulous acts like a primer, foundation, and concealer all in one, and manages to deliver this with lightweight, full coverage! With a total of 14 shades and a price tag of $9.99 … time to switch up your foundation without breaking the bank! Revlon’s Nail Art Moon Candy: Another amazing Revlon product is Revlon’s Nail Art Moon Candy. Available in 10 shades, this double-ended duo nail polish allows you to try all the amazing nail art techniques that you spot on Pintrest at a bargain beauty price of $6.50. Pond's Luminous Clean: After you’re all done experimenting with a new look for Spring 2013, you need to remove all that makeup! Actually, you need a skin care routine no matter what. Pond’s have just introduced a four product skin care line called Luminous Clean. From cream cleanser to moisturizer, not a single product in the Pond's Luminous Clean skin care line costs more than $7.50! Happy Thursday my lovelies! The Makeup Examiner hopes that the week has gone well for you and if it hasn’t, it’s almost Friday. (YAY!) And as we ease toward the weekend, I figured that I’d share my experience with Jesse's Girl Cosmetics. It’s sort of a given that we all love makeup, but sometimes we simply can’t spend a lot of cash. When the Makeup Examiner spotted Jesse's Girl Cosmetics, I had to find out if this mass cosmetic company could deliver and offer a decent alternative to pricier brands. As my loyal lovely readers know, with cosmetics the Makeup Examiner looks at two main qualities, pigment and consistency. Despite an affordable price, if a cosmetic doesn’t perform its intended purpose, then there’s no bargain to be had. So let’s get to the good, the bad and the beautiful about Jesse's Girl Cosmetics. Today, the Makeup Examiner is going to review Jesse's Girl Cosmetics Pure Pigment Eye Dust (2.5 grams $4.99), Mineralized Baked Powder Eye Shadow (2 grams $3.99), Jesse's Girl Eyeliner ($1.99), Liquid Glass Lip Gloss (.18 oz $3.99), In The Mood – Color Changing Lipstick (3.8 grams $2.99), Julie G Collection Nail Polish (.35 oz $3.99) and Jesse Girl High Intensity Nail Color (.35 oz $2.99). Moving on to the products. Much to my surprise Pure Pigment Eye Dust and Mineralized Baked Powder Eye Shadow delivered really good pigmentation. Pure Pigment Eye Dust in Blackstar Blue is amazing for a traditional smokey eye and Starshine is a shimmer lover’s dream. Mineralized Baked Powder Eye Shadow in Plum Frost didn’t have the greatest consistency, but did deliver with color and although the other shadows (and products) are made in the USA, Mineralized Baked Powder Eye Shadow is made in China. Jesse's Girl Eyeliner in Dark Brown and Silver Frost both had a silky feel and nice pigment. The eyeliner was easy to apply and has a convenient built-in sharpener top! Liquid Glass Lip Gloss is gives plenty of shine with a smooth consistency and good color. In The Mood – Color Changing Lipstick is too fun. First and foremost, the lipstick glides on and delivers a nice shade. And then there’s the color-changing factor. I tried out Envy that is pea green in the tube, but changes to a mid-pink when applied. The Julie G Collection Nail Polish was curated by top beauty vlogger, Julie Gutierrez and is available in 27 fun shades. Jesse's Girl High Intensity Nail Color, with colors like Confetti and Fools Gold, offer an amazingly versatile range for anyone who loves to play with polish. 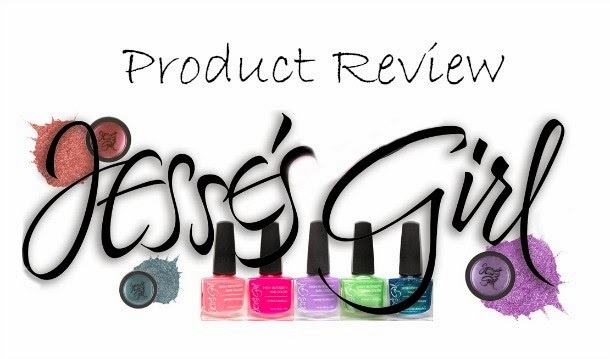 Overall, Jesse's Girl Cosmetics offer decent mass makeup at an affordable price and are perfect for anyone who likes to play with fun shades … without breaking the bank. Jesse's Girl Cosmetics are available online and Rite-Aid stores.